Southern Loggin’ Times magazine’s December 2014 issue features Jasper, Alabama’s Forest Industries, LLC, Louisville, Mississippi’s Johns Logging, LLC, Glennville, Georgia’s Foster Logging, Inc., and White Plains, Georgia’s Plains Logging Company and AllWood Equipment Company. Other articles highlight the latest industry news and the 2014 Editorial Index. Southern Loggin’ Times magazine Contributing Editor Connie Ness has the opportunity to visit Forest Energies, LLC in Jasper, Alabama. 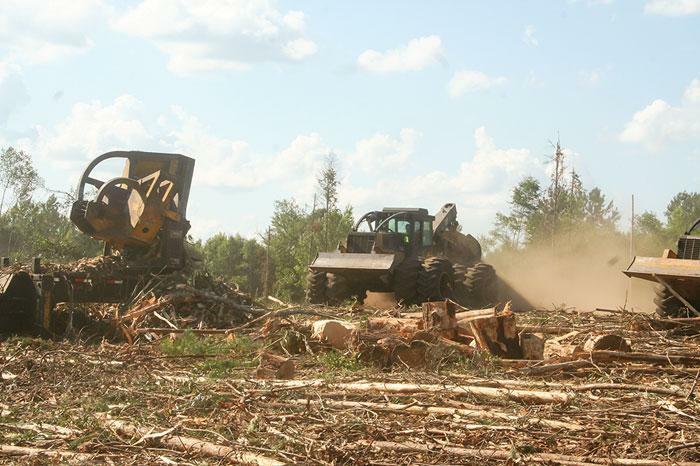 Forest Energies LLC is not a traditional Southern logging company. This is not a story about a family business passed from one generation to the next; it is a story about a company that has some smart ideas about running a timber company. Forest Energies is a vertically integrated timber company that buys standing timber in lump sum contracts and then harvests and hauls the wood to market. “People ask me, are ya’ll a timber broker? I say, yes. Are you loggers? I say, well, we’re a harvesting company. What are you mainly? 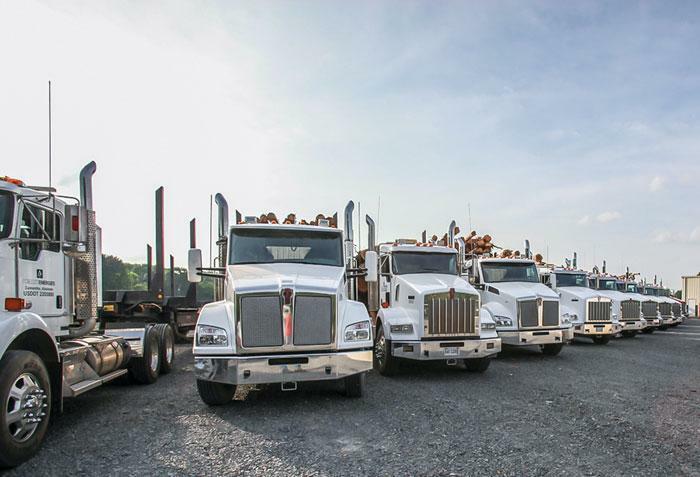 At the end of the day, we’re really a hauling company,” says Ricky Freeman, president. This wasn’t how the company first operated in 2012 when Freeman and CEO Lenn Morris founded the business. 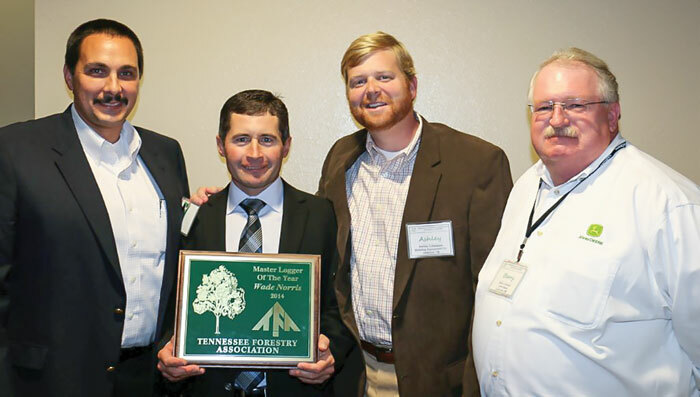 Southern Loggin’ Times magazine Managing Editor David Abbott travels to Louisville, Mississippi to spend some time with Johns Logging, LLC. From April 27-30, 2014, a storm system swept through the south and beyond, producing the first major tornado outbreak in the U.S. this year. Of the multiple long-track tornados that resulted from the system, seven were deadly, causing 35 fatalities in all. One of them tore through the town of Louisville on the 28th, taking 10 lives with it and injuring 80 more. The intensity of the tornado vacillated between EF1 and EF4 strength as it rampaged through the area, destroying multiple homes and other buildings. At one point it leveled a daycare, killing the owner, who died protecting a 4-year-old. A wooden door from Louisville made its way to the Mississippi State University campus in Starkville, some 30 miles away. Southern Loggin’ Times magazine Managing Editor David Abbott visits Foster Logging, Inc. located in Glennville, Georgia. Moving from one tract to the next can cost a logger a fair amount of time and money, especially if he has to do it too frequently. Justin Foster, 28, hasn’t had that problem lately. He’s spent almost all of 2014 working on Pine Island, a 1,000-acre tract of George state timberland. He started there in late January, and he was still working it in mid-November. It’s all sand pine, and Foster has been tasked with clearing it, sparing only a few sporadic patches of loblolly, which he thins. The state wants to remove the sand pine so that it can replant the land with longleaf pine. Working on the state land, Foster says, hasn’t involved any more stringent requirements than any typical private tract. Southern Loggin’ Times magazine Associate Editor Jessica Johnson has the opportunity to spend some time with White Plains, Georgia’s Plains Logging Company and AllWood Equipment Company. Not one to sit still, Allen Coleman, 34, is a sharp guy with a lot on his plate. 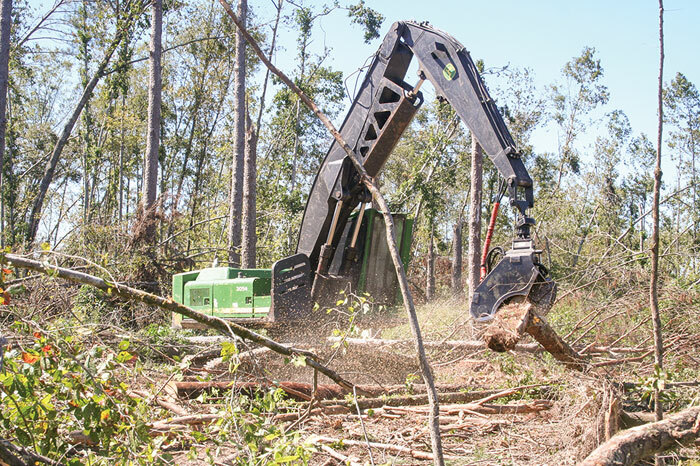 He, along with his brothers James, 37, and Grant, 35, and their father, Bill, 67, co-own three logging related businesses in northeastern Georgia: Plains Logging Co. and Coleman’s Store, both based in White Plains, and AllWood Equipment Co., located in Washington. 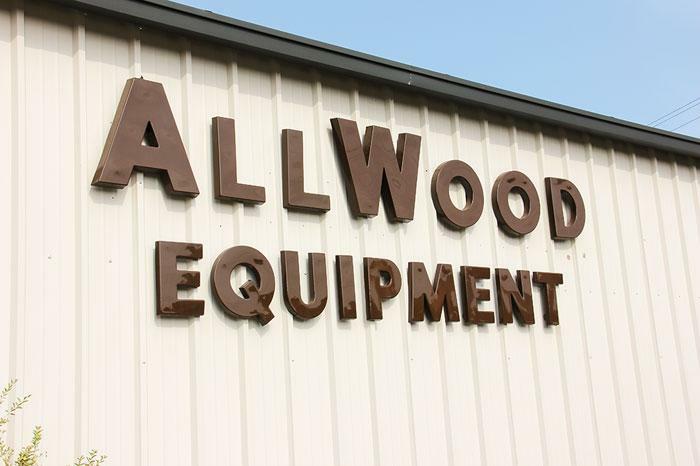 Allen is responsible for daily operations at AllWood, a Tigercat dealership the family acquired two and a half years ago. He also stays informed of what’s going on in the other family businesses. As well, he helps maintain Plains Logging’s equipment. Though each business operates as a separate entity, the Colemans and their employees all pitch in to make sure each is as productive, customer-service friendly and profitable as possible. At The Margins is designed to help loggers manage and/or operate their business better. Each month an expert provides information, tips or advice on how to maximize profitability, enhance efficiency or increase business knowledge. This month’s column is provided by Tim Nenne, an Undercarriage Market Professional for Caterpillar, Inc. 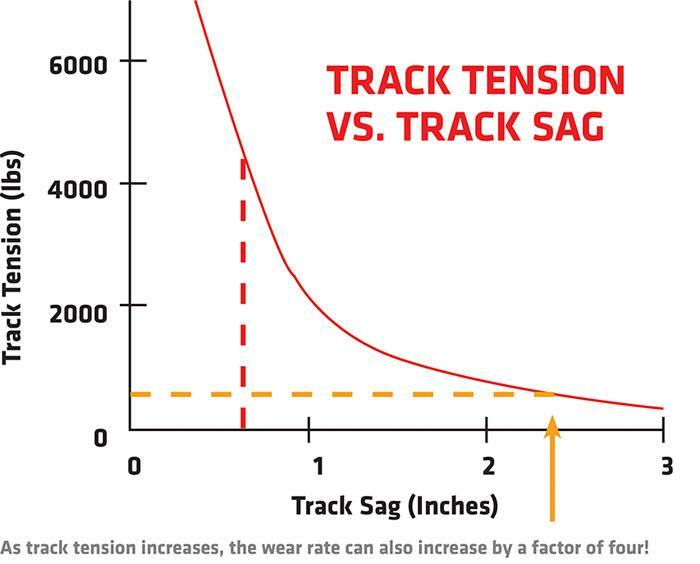 The article is titled, “Keep Your Undercarriage On Track.” Click here to view the full article.